Urban survival and preparedness knowledge is crucial to master if you live in a town or city, and knowing what to do if things go south can make all the difference if disaster strikes. In this guide we’ve covered the essential elements of urban preparedness, from how to respond to a major incident and mitigate the after effects, through to preparing an urban survival kit that will get you home and if required, out of town. If you live in an urban area – large or small – the fact of the matter is this: if a major emergency situation or disaster starts to unfold, the rules of the game are very different to those which apply if you live outside of the city or in a rural area. Whether we’re talking about an act of terrorism, a biological outbreak or a natural disaster such as an earthquake, tsunami or serious blizzard, in areas where a lot of people live in close proximity, the skills and know-how that will allow you to stay safe are very different than those that apply to people living out of town. There are a number of urban survival strategies that you can implement in such a situation, from bugging out to a safe location through to effective home preparedness for weathering the storm. Learning the essential urban preparedness skills will get you out, get you home and keep you alive. In an urban setting, by far the biggest consideration when it comes to preparing for a disaster or emergency situation is the effect that large populations and significant volumes of people will have before, during and after an event takes place. If there is some advanced warning of an approaching danger or emergency situation, the immediate effects that we see time after time is the reaction from people to panic buy food and supplies from stores. What this means in reality is a primal fear that will drive people to get serious about securing those last cans of food or bottles of water on the shelf. Don’t be caught in a fight for resources when the shelves begin to look empty. Where vehicles are concerned, this same fear-induced mentality can manifest through mass gas station rushes, pumps running dry and if an incident is likely to be severe enough for people to leave, gridlock on the major routes out of town. When people are told by authorities to stay calm, this is often the last thing they actually do. Should you receive news of an emergency scenario that’s just around the corner and decide that the best course of action is to batten down the hatches and ride it out in your home, there are absolutely ways you can avoid the common pitfalls of being under-prepared, and we’ll cover how to make sure of this in depth later in the guide. Similarly, if you live in an urban area and decide that an impending situation will warrant the total evacuation of your home, knowing how to proceed as well as the best steps to take (and when) are critical to ensuring you avoid the inevitable mass exodus that the event will spark. If leaving looks likely, having a pre-prepared plan of action and a dedicated grab bag or bug out vehicle will allow you to get ahead of the crowd and can make the difference between getting out and getting stuck. Remember, when it comes to urban survival and preparedness, you never want to be a day late and a dollar short. Depending on the level of preparation on the part of local authorities, the reaction on the ground can vary greatly during a serious emergency situation. As a result of this, you won’t be able to rely on the usual response of emergency services or first responders. If a situation is bad enough, reserve military forces or guards may be brought in to bolster emergency services and in extreme situations, you may need to expect the unexpected when it comes to controlling crowds. In these instances, one of the best urban survival tactics to employ on the ground is to avoid large groups of people whenever possible and remain inconspicuous so as not to draw unwanted attention from law enforcement or others caught up in the unfolding situation. Stay calm, alert and aware of your surroundings and the events around you. Keeping a clear head when those around you are not will help you assess and evaluate the situation, deploy your evacuation plan and get home safely. In the hours and days following a major incident, depending on the specifics of the event that’s gone down, you can expect anything from a measured response and recovery phase from authorities, through to a potential breakdown of law and order at the other end of the spectrum. As with all things preparedness-related, you need to assume the worst case scenario so that you’re prepared for every eventuality. While a response from government may be on the way, it could very possibly take days to arrive and if the social fabric has broken down, the after-effects of a disaster can take the form of mild civil disobedience through to wholesale looting (for example following Hurricane Katrina in 2005) and violent attacks on people and property are highly likely. In this scenario, and in the days immediately following any disaster or serious event, the focus for urban survival will vary depending on your proposed strategy (will you be bugging out or staying in your home? ), but either way, you need to ensure that the safety and protection of yourself, your family and your property are your number one priority. Food is likely to be incredibly hard to come by following a severe disaster and you should also expect utilities (gas, water, electricity, communications) and sanitation to be out of action until a response is implemented – potentially days or weeks later. All of these factors will have a major effect on your prospects directly following an emergency event, so preparing ahead of time will absolutely provide the best chances of minimal disruption and maximum recovery, whether you’re bugging out from the area or putting your home into lock-down. If disaster strikes out of the blue without prior warning, there’s every chance that you’ll be somewhere far from ideal when it comes to implementing any preparedness plans you have in place. Whether you’re at the store or in the office, in the even of an emergency situation, one of the key strategies in effective urban survival is the ability to quickly remove yourself from danger and get home or to your pre-designated rally point as soon as possible. Unfortunately for many of us, work equals having to leave home and clock in to the office every week day. If this applies to you as well and you’re behind a desk when a situation begins to develop, learn to read the signs, assess the situation and make sure you have a pre-prepared plan to implement which will get you home. There may be a part of you (largely informed by the reactions of those around you) that may be resistant to leaving the office for home in an emergency situation so as not to ‘lose face’ with management. If the emergency unfolding is serious enough however, don’t fall prey to this trap. If the immediate area outside is safe, grab any supplies (see Get Home Bag below), make your excuses with your boss and get out of there as soon as possible – there will always be the opportunity to apologise later, whereas you only get one shot at survival, so don’t miss it. Depending on the specifics of the emergency situation, it’s highly likely that critical infrastructure will be down, meaning power, communications and public transportation will be out of action. Know this ahead of time and plan your escape accordingly. Don’t follow the herd in an urban survival situation – if everyone is making a beeline for major transport hubs, be sure you’ve got an alternate route to your destination planned and head the other way. 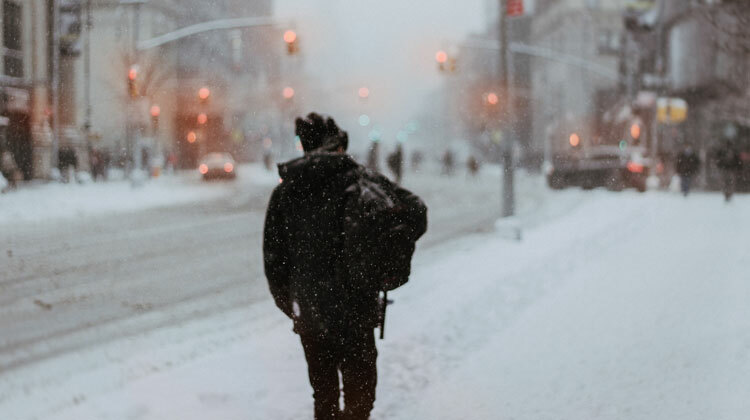 Again, a Get Home Bag will be your greatest ally if you need to get home from the office and should contain enough equipment and supplies to allow you to actually make it home on foot should the situation require it. Disasters have that annoying habit of cropping up when you least expect them. Maybe you’re picking the kids up from school or are out buying the weekly groceries and suddenly get word of an incident unfolding nearby. No matter where you are and what you’re doing, the priority is to make a clear-headed and rational assessment of the situation, starting with safety considerations first and foremost. Are you in imminent danger if you remain where you are? Is your route home in immediate danger of becoming impassable if you don’t leave now? If the answer to either of these questions is ‘yes’ then get home as quickly and safely as possible. However, if the answer to both of these is ‘no’, then gather your thoughts, try to let logic lead fear and get to work making hay while the sun is still shining. If you haven’t stocked up already, when an unexpected disaster strikes, there may be a critical window in which you’ll have an invaluable lead on gathering supplies while others are in the shock of an event. Prioritize water, food, gas and cash in this order. If you’re at the grocery store, let your preparedness mindset kick-in and run on autopilot, gathering as much drinking water, high energy foods and those that can be counted on in a survival situation without access to power for possibly days as you can carry or fit in your car. Similarly, if you’re in the car and have the first two areas covered, fill the tank at the nearest pump before everyone else gets the same idea. Take out as much cash as possible from the nearest ATM and get home as soon as you can. Preparing your home for every eventuality is always good practice and whether we’re talking about stocking a survival pantry, getting by without power or ensuring continued access to clean water, there are a lot of things that can be done to help you hunker down and ride out whatever is coming your way. Whether you’ve been adopting the apartment prepper mentality for years or are just getting started with home-based urban survival, there are a ton of ways to make sure your living space is a reliable source of protection when you need to bug in for a potentially prolonged period of time. Keeping a surplus of water and food in your home is one of the very best things you can do to prepare for an emergency situation in an urban survival scenario. Primarily, this means building an adequate stockpile of clean drinking water and enough nutrition provisions to meet the requirements of you and your family for a pre-determined length of time. In terms of water, stock up on large bottles of drinking water with long shelf lives and store in a cool, dark space away from heat and light. Food supplies should take the form of food which is high in energy and nutritional content, easy to prepare (and eat cold if required) and that can be stored for a long time before use. Preparing a solid provision of emergency food ingredients is the core requirement for assembling a comprehensive survival food pantry and provides a reliable source of shelf-stable nutrition if the stores are suddenly empty. Similarly, one of the very best options for emergency nutrition and the perfect solution for a bug out bag as well as a survival food stockpile are pre-packed emergency meal kits, which offer self-contained entrees that are incredibly easy to prepare, offer well-rounded nutritional content, and last for literally years before they need to be used. Again, work out the daily requirements for you and your family and multiply by the number of days you’re planning for to work out how much food provision you need to store in your home. The first assumption you’ll need to make in the event of an emergency or disaster, is that utilities such as power, gas and water will almost certainly be cut off for several days (if not longer). With this in mind, if you have advanced knowledge of an impending emergency situation, fill up as many containers in your home as possible with clean drinking water from the tap. This means gathering all (clean) buckets, glasses, cups, bathtubs and sinks, filling to the top and then covering with plastic wrap such as saran wrap or cling film. Once covered and wherever possible, you want to store this primary water supply in a cool, dry place out of sunlight and away from any sources of heat. When it comes to any fresh, frozen or refrigerated food, if you’re in any doubt whatsoever about the expiry dates, safety or edibility of any item, then do not eat it. The potential benefits are far outweighed by the potentially life-threatening effects of contracting serious food poisoning. If your refrigerated food is at risk of spoiling during an emergency situation, you’ll be glad you invested in a high capacity cooler box and plenty of ice packs, both of which will enable you to transfer food over while the power’s out with minimal disruption. No utilities also means potentially no way to cook food or boil water, so invest in at least one high quality camp stove and plenty of spare fuel to ensure you are able to heat food and purify water if required. A power outage can be caused by any number of sources, from a manmade or naturally occurring EMP, through to extreme weather or an act of aggression from a terrorist organization or foreign nation. Whatever the cause though, the immediate result will be the same to those affected, no lighting, no appliances and no heating supplied from an external source. Stock up on enough candles and flashlights to provide adequate light for up to a month if you should need it. Supplement these with enough batteries to last a similar period of time as well as multiple redundancies for fire starting from matches through to lighters. As a fall back, it’s a good idea to get to grips with the basics of starting a fire from scratch should you need to call on the skills, so brush up on this ahead of time if you can. Your urban survival plan should incorporate storing heavy wool blankets as well as emergency mylar blankets in your home to ensure you’re able to stay warm if the temperature drops. There are plenty of situations where the best (and safest) course of action may be to actually leave your home entirely. If you’re at home when a serious emergency situation occurs, this may mean implementing a bug out plan in advance of the crisis escalating. 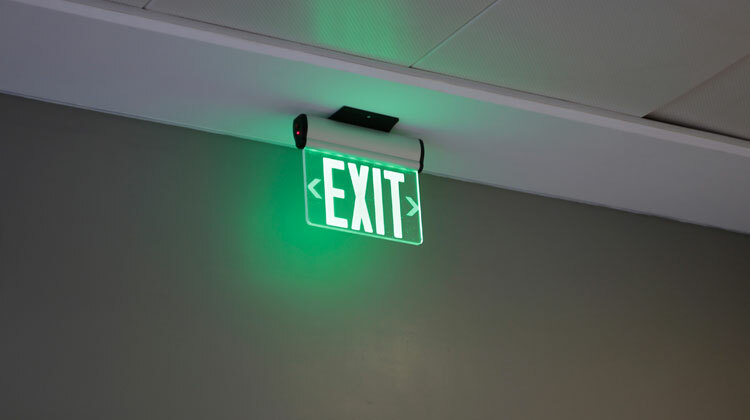 However, you may also need to employ this strategy if you’re bugging in, but the situation deteriorates and you find yourself needing to rapidly evacuate. In this instance, there may not be the time to think, you just need to be able to grab your bug out kit and get out the door. One of the most important urban survival skills is knowing when to leave and how to evacuate in a high density environment. As you quickly realize when you have none, having any supplies on hand during an emergency situation can be a lifesaver (sometimes quite literally) and with this fact alone in mind, there’s a very strong case for most people to put together at least one form of urban survival kit to help face down adverse conditions. 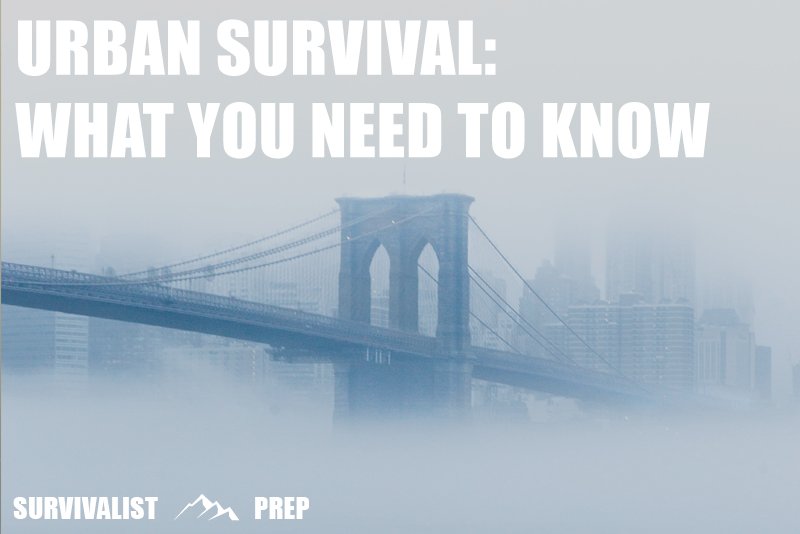 Whether you’re considering a handful of essentials in the form of an EDC kit, a bag to help get you back home quickly, or a bug out bag to help you evacuate your home at a moment’s notice, there are a range of levels worthy of consideration in planning an urban survival strategy. Also known as EDC, an Everyday Carry kit is effectively 4 or 5 ‘essential’ items that you can carry in your pocket or a purse to get you out of a tight spot and allow you to react instantly to a situation without delay. Comprising of items such as multi-tools, tactical flashlights, pocket knives and tactical pens, an EDC kit is basically your own personal ‘break in case of emergency’ solution which you never leave home without and that forms the first line of defense in your urban survival strategy. With an Everyday Carry solution in your pocket, you’ll basically know that you’ve got a base level of preparedness planning in place at all times and wherever you are. The main task of a Get Home Bag (or GHB) is to provide you with the vital elements for getting you back to your home or a similar pre-determined waypoint in an emergency. When it comes to urban survival, putting together a well considered GHB is probably tied with carrying an Everyday Carry kit as perhaps the most essential preparedness activity you can carry out ahead of time if disaster strikes unexpectedly and you’re away from home. Think of a GHB as the next line of defence after your EDC for getting you home safe and sound and in one piece. While a nearby bucket of water may seem great when a fire breaks out, you really want to use it to get to the fire extinguisher. High energy food bars, trail mix and unsalted nuts. Store your GHB in the easiest to reach and most practical location wherever you spend the majority of time away from home so that you can grab it and go should the need arise. If the majority of your time is spent in the office, keep your bag in a drawer, under the desk or in a locker. Similarly, if you’re out in the car a lot, keep your GHB in the trunk. Don’t let anyone know about your bag if possible and if you do have to (for workplace security reasons), keep it locked up or locked to an immovable object with a bike lock if you think someone may get to it before you do in an emergency. Whether you live in a house or an apartment, if you live in a town or city and disaster strikes before you have the chance to get to an area of safety, you will need to be sure that your home is fully prepared to see you through any situation as it develops or unfolds. The three key criteria for urban home preparedness are warmth (shelter), hydration, and nutrition. These three considerations should form the basis of your home preparedness strategy and for all of them you need to be ensuring that you’re covered for a potentially prolonged period of time in your home. Branching off of these ‘foundation’ home survival essentials, it’s important to also have access to alternate sources of power (for cooking and running electrical devices), as well as methods of illumination and communication devices for maintaining a connection to the outside world and staying up to date with information. As with all of our preparedness guides, we reference as many expert sources, real world user reviews, and opinions as possible so we’re able to provide the most relevant and educational information on urban survival strategies and techniques. Urban survival skills are ultimately a highly personal activity with individual needs and external factors sometimes varying considerably between people, locations, and specific situations. With these considerations in mind, this guide looks to provide advice on our own opinions of the best urban survival strategies to adopt in an emergency, however these our own opinion and it’s always important to carry out your own due diligence to find the best solution for you when developing a strategy, plan, and solution that’s perfect for your situation.